The article is an unbiased attempt to lay down the reasons that have caused the Kashmir issue. 1) In 1947, both India and Pakistan got their freedom from British rule. 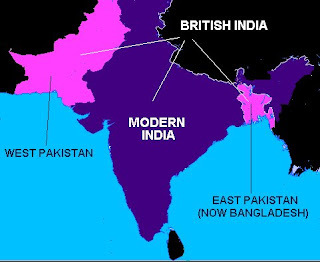 The Muslim majority areas of British India formed the new independent state of Pakistan (West Pakistan and East Pakistan) and the rest became Republic of India. However the future of the princely states was to be determined by their respective rulers. They could either merge with India or Pakistan or stay independent. Most of these princely states merged with either India or Pakistan without any difficulty except the state of Jammu Kashmir and Hyderabad (Deccan). 2) Kashmir was ruled by a Hindu Maharaja but about 80 percent of its population was Muslim. Pakistan wanted Kashmir to become her part as the population of Kashmir was predominately Muslim. 3) India began persuading the Maharaja of Kashmir to join the Republic of India. The majority Muslims of Kashmir rose in revolt along the western borders of the state and the Pashtun tribesmen of the surrounding area joined the fight with them. With the Maharaja losing control over his state, he signed an Instrument of Accession to the Indian Union in October 1947. 4)As the signing of the “Instrument of Accession” to the Indian Union took place the Pakistani tribesmen entered Kashmir “to free Kashmiri Muslims from Hindu rule”. Then the Indian army entered Kashmir. Pakistan responded, and localized warfare between India and Pakistan continued during 1948. 5)India took the Kashmir issue to the UN Security Council, and the war ended in a cease-fire, which took effect in January 1949. In July of that year, India and Pakistan defined a cease-fire line, the still-existing Line of Control, which divided Kashmir between Indian held "Occupied Kashmir" and Pakistan held "Azad (free) Kashmir", as they are known in Pakistan (since Pakistani-held Kashmir has its own independent Constitution and legislature and its independent President and Prime Minister, although practically it is substantially governed by the Pakistan Government). 6)Pakistan had always demanded a free and fair plebiscite in Kashmir, so that the Kashmiri people might decide their own political future. India however has never let the plebiscite in Kashmir occur. Pakistan raised the matter in UN again and again but nothing material happened because of use of veto by the Soviet Union, then allied with India. 7) India and Pakistan have fought two wars in 1965 and 1971 on the issue of Kashmir. The latter war ultimately ended with creation of Bangladesh (formerly East Pakistan). Most recently India and Pakistan were involved in another war in Kargil. Since the 1980s a serious armed uprising has been taking place within Indian-held Kashmir. This uprising is supported by many religious groups in Pakistan. India claims that there is really no uprising, and that in fact armed personnel are being infiltrated into Indian-held Kashmir from Pakistani-held Kashmir and are causing all the disturbance in the State.India call this "cross-border terrorism" and demands that Pakistan stop the infiltration of Muslim insurgents into Indian-held Kashmir. India holds that the administration of Kashmir is an internal matter, between the Kashmiri people and the Indian Government, and Pakistan has no right to interfere. Pakistan, on the other hand, maintains that India has forcibly held Kashmir under its occupation with large number of soldiers it now has in the State. It asserts that Indian forces are committing serious humans rights violations in Kashmir and India is not allowing Kashmiris their fundamental right of plebiscite. Pakistan demands that India and Pakistan should negotiate on Kashmir as per UN resolutions. Kashmir has been the main bone of contention between India and Pakistan since their inception. Serious efforts to resolve the Kashmir problem have been made by certain leaders of both the countries at different times, but it seems like having the problem has been more advantageous to the rulers of both countries than truly solving it. Disclaimer –All facts have been gathered from various sources on the internet. A totally concocted story as usual, biased pro-pakistan half truth. Not the first time that is seen.